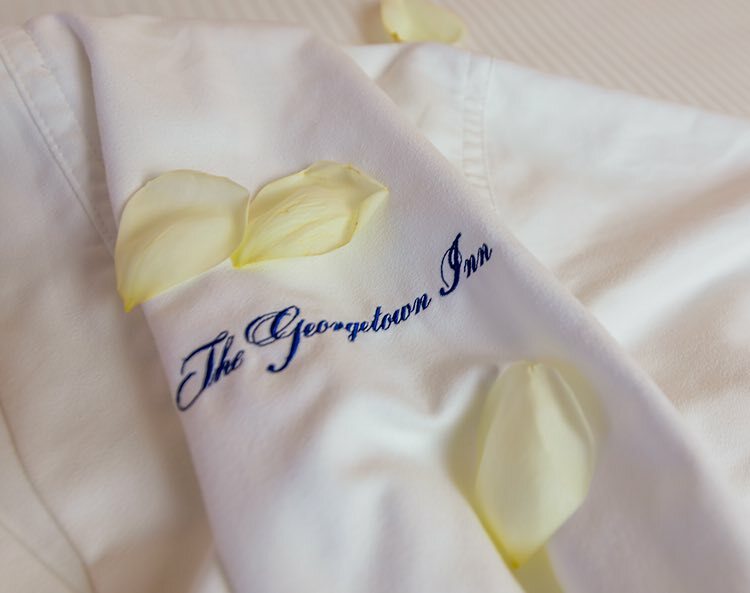 Toss your keys to the valet and step into timeless elegance at The Georgetown Inn. Our charming and historic hotel is located near downtown Washington, D.C., the Smithsonian Museums, and minutes from the Potomac River. We offer business and leisure travelers distinguished services and luxury amenities. 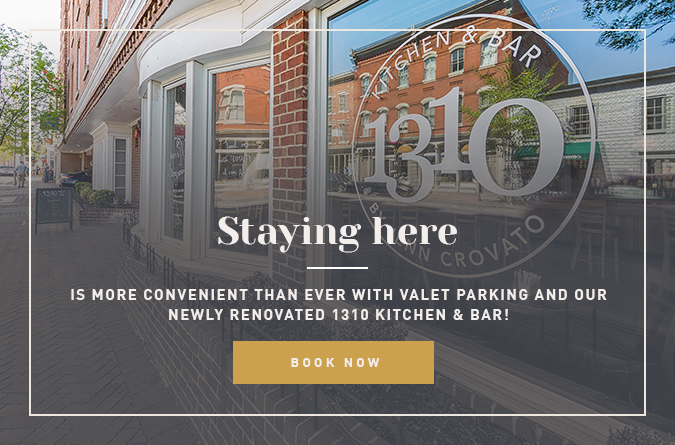 Enjoy 24-hour access to our modern business center, spend a relaxing evening at the newly opened 1310 Kitchen & Bar. For the fitness enthusiast, our guests get complimentary access to Washington Sports Club M Street location. Host an intimate business meeting or special event in the beautiful Windsor Room, outfitted with the latest audiovisual essentials and complete event coordination services.